Did you know that all over the world, one in two people suffer from gum problems which can have a serious impact on the health of the mouth? Did you also know that swollen gums, unpleasant tastes, odours or bleeding gums during brushing or flossing could all be signs of gum problems? Also, did you know that gum problems which go untreated can lead to periodontitis, one of the most widely spread diseases in the world which could result in more serious problems such as tooth loss? If you experience any of the symptoms mentioned then I’ve got good news for you! Oral B has launched a new line of toothpastes and toothbrushes to cater for all mouth and gum diseases. 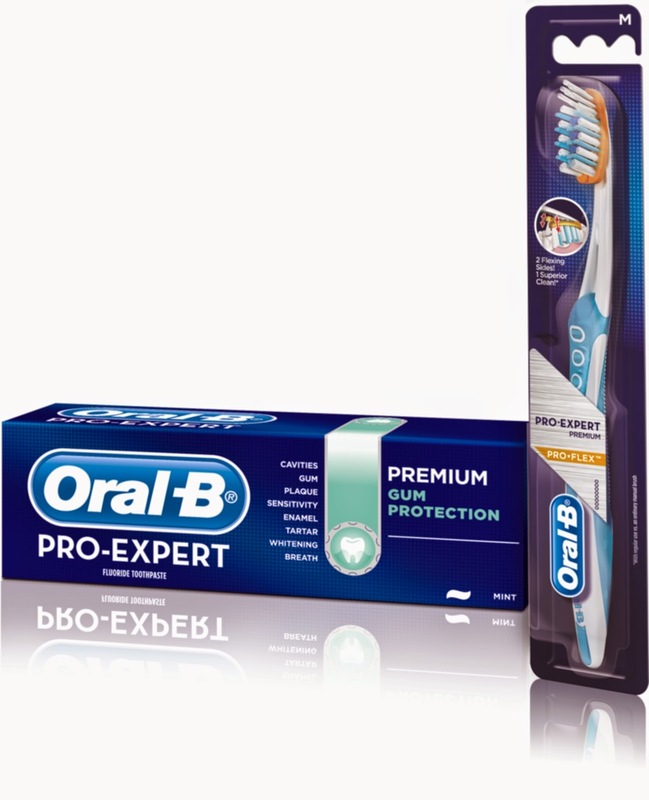 The new Oral B Pro-Expert [Premium] Gum Protection toothpaste and revolutionary Pro-Expert [Premium] Pro-Flex toothbrush are specially designed with stannous fluoride to help improve the health of your gums in just 2 weeks! Amazing! To learn more about this latest innovation from P&G and how to solve all your dental issues, tune in to Classic FM 97.3 on 2:00pm, today, June 13th to join Dr. Uchenna Okoye, a renowned dental surgeon from London Smiling Dental Clinic in the UK. Dr. Okoye is experienced in aesthetic surgery and handling various forms of dental diseases will be on hand to answer all your questions live. You can also connect with the studio by joining the live Google hangout on www.google.com/+Classic97Net. It's only a few hours from now, hope to see you there!! !